US presses Laos over missing activist !! A US rights envoy on Monday appealed to Laos for more information on a prominent activist missing for two months, saying the case was having a "chilling effect" on civil society groups. "It's been incredibly frustrating to not have more visibility into the progress of the investigation," Daniel Baer, deputy assistant secretary for the State Department's Bureau of Democracy, Human Rights, and Labor, told AFP by telephone from Vientiane after talks with the Lao vice foreign minister. "I was assured that they are investigating -- that's what the vice minister told me -- but I made sure that he understood that not having more information is not helpful," Baer said, expressing disappointment that he was unable to meet any officials from the ministry of public security. The campaigner won the 2005 Ramon Magsaysay Award for Community Leadership for his work in poverty reduction and sustainable development in a country that remains one of Southeast Asia's poorest nations. The secretive one-party communist state -- which exerts total control over the media and does not tolerate criticism -- has in recent years gradually given local civil society groups more room to operate. 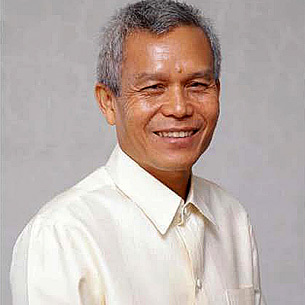 But Sombath's disappearance has sent jitters through the activist network. "There's no question that it's had a chilling effect," Baer said. "For as long as the case remains unresolved and Sombath doesn't come home to his wife, the international community as well as many people here who know and love him will continue to ask questions," he added.